Every VAR faces the challenge of differentiating itself from the competition, and to do so inevitably requires more than just a strong product line and excellent customer service. But given the varied clientele that VARs serve, there’s no single secret formula that works for everyone. However, an emerging strategy involves boosting your “stickiness” level by integrating yourself, your products, and your services into multiple aspects of your customers’ businesses. 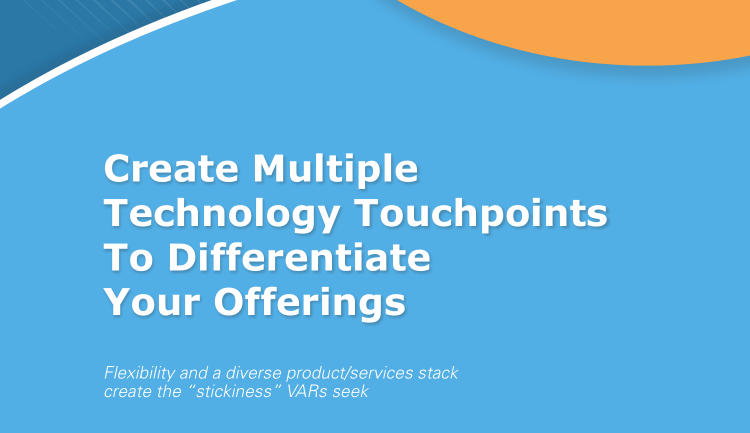 Creating an integrated stack of technology and service offerings is proving to be an effective route to greater stickiness for VARs in today’s market. 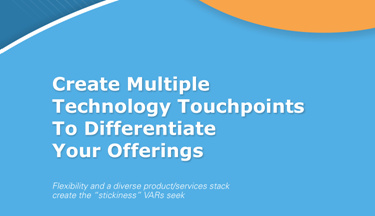 Several leading VARs are creating POS-centric technology offerings that are tailored for individual customers’ business requirements. Their menus have expanded from break-fix maintenance and training to include payment processing, payroll, customer loyalty programs, mobile POS, inventory management, business reporting, and analytics. Many are delivered via the cloud and use as-a-Service models and creative financing to overcome traditional hurdles. These VARs are moving beyond simply making hardware sales with thin margins toward packaging integral services to produce recurring revenue streams. Want to learn more? Download this white paper below!